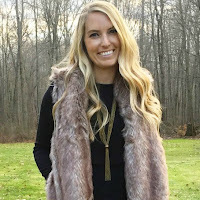 Easy Teacher Style with Stitch Fix! As you know well by now, one of my favorite things is to dress up for school. There's nothing quite as fun as putting on a new piece and styling it for the first time. But I will say that I definitely do get stuck in my ways when it comes to pieces I choose. I'm often drawn to preppy and fitted pieces, or pencil skirts and dresses. So when We Are Teachers reached out to me to collaborate with Stitch Fix, I jumped at the opportunity to see what someone else would pick out for me. I have to say, I was impressed with the pieces they sent my way! 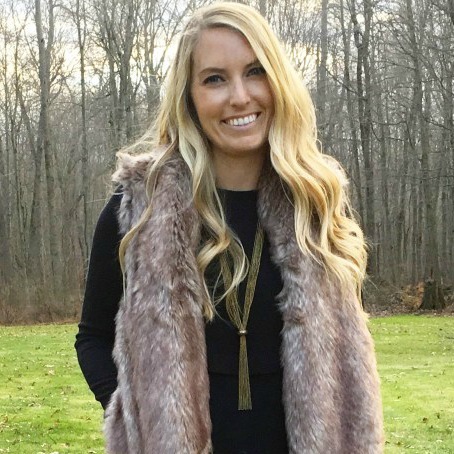 If you haven't heard of Stitch Fix before, essentially they are an online styling services that sends you pieces picked out specifically for you by one of their stylists. Each box contains clothes, shoes, and accessories that you can try on right at home! Keep what you like and send back what you don't in a prepaid envelope :) Shipping and returns are free, which is a huge plus for me! My stylist did an excellent job of listening to what I generally like and wear, and what I'd be more interested in seeing in my Stitch Fix Box. She sent me five darling pieces - a dress, two tops that could be worn to school or on the weekend, a striped pullover, and a jacket. Here's my video try on, so you can see the pieces they sent to me! If you're interested in trying Stitch Fix, you can use MY SPECIAL LINK to have your first-time styling fee of $20 waived!